Natural isometric tileset by Aurielaki. 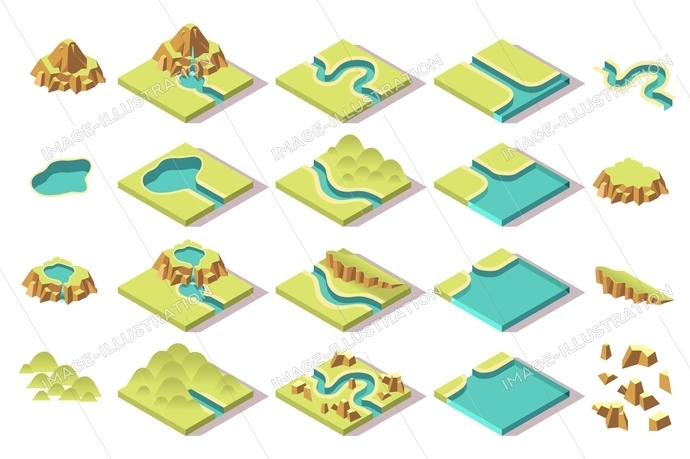 Isometric game elements, nature tiles with road, mountain, river, lake and hills in EPS JPG AI SVG. Collection of isometric tileset for building an isometric game. Natural tiles with nature set of elements. This is an Image Illustration UNIQUE, QUALITY and DETAILED content. SKU: Isometric-tileset-for-isometric-game-AurielAki. Categories: Exclusive contents, Isometric Tiles. Tags: building, car, character, city, collection, composition, developer, development, environment, game, gaming, garden, green, hills, icon, icons, illustrated, illustration, indie, interface, isometric, lake, Large, lego, mountain, natural, nature, park, people, retro, river, road, sea, set, sign, strategic, symbol, tile set, tiles, tileset, ui, urban, vector, water.